Just off Sweden’s south eastern coast in the Baltic Sea, Gotland is an untouched, and slightly haunting beauty. This is definitely the kind of place you could shoot a Nordic noir…Visby is the island’s capital, but you’ll find our Guru’s top recommendations for the best places to stay on Gotland in more remote locations. There are wonderfully secluded hamlets and stunning clifftop outposts, open meadows and the occasional windmill - and many sheep. What our recommendations for the best places to stay on Gotland have in common are spectacular views - whether it’s the dramatic Baltic Sea or the wind whipped cliffs and meadows. As well as enjoying the wonderfully emotive scenery, Gotland has around seven thousand years of interesting history to uncover. Some of the main man made sights are the island’s wonderful medieval churches. For such a sparsely populated place there are quite a number - 90 churches in all, though not all of them dating from the medieval period. Some are in excellent condition while some are beautiful ruins. The Gotland Museum in Visby is also a fantastic place to uncover more about the island’s history. The most famous artefact is probably the Spillings treasure horde, 70kgs of preserved silver ‘treasure’, but they also have some wonderful medieval sculptures, skeletons removed from chambered tombs and stones on which pictures have been carved dating from the 8th century. There’s also some evocative Viking exhibitions and plenty of fossils found on the coral reefs just off the island’s shores. Visby also has an excellent open-air museum with picture stones dating from 800AD and houses dating from the 17th and 19th centuries. And it’s a UNESCO World Heritage Listed city, due to the way its walled Hansetic town has been beautifully preserved. 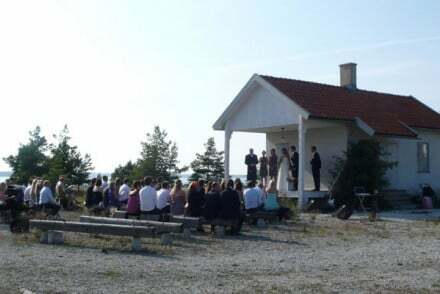 It’s also worth taking the boat over to the nature reserve island, Stora Karlsö. You’re also only a 10minute ferry trip from Fårö. Our pick of the best places to stay in Gotland is the perfect destination for a luxury holiday away from it all. Fabriken Furillen are a collection of cabins and rooms with a stripped back design which is perfect against the beautifully Scandinavian ocean backdrop. There are just 18 rooms - with log burners as standard, offering an adventurous, outdoorsy atmosphere, but with the comfort of having a restaurant. Still not sure which is the best place to stay on Gotland for you? 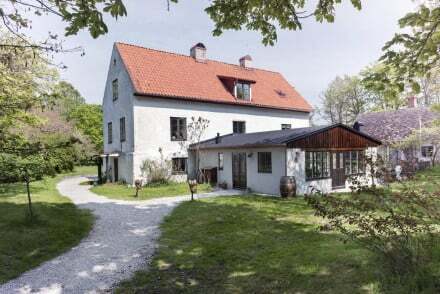 Browse through our list of all the best places to stay on Gotland, or contact one of our friendly Gurus for advice. Stripped-back design compliments strikingly impressive location with this Swedish property that caters for those looking for an island adventure in Scandinavia. Entire cabins can be rented, as well as rooms which come with a log burner as standard. Also has restaurant and can hold weddings. Quirky - An industrail environment with a difference. Back to Nature - The whole island is yours to explore. Hotel Stelor on Gotby Island's west coast provides chic rooms in a refurbished 18th-century building. Featuring local artwork and antique furnishings, this cosy spot also has a large garden to relax in during the day and events are often held at the barn. Escape from it all at this tranquil spot! Romantic Break - Quiet accommodation, splendid meals and long walks together on the beach-what more could you ask for?